It looks like Rick Rozay could find a new potential member for MMG. 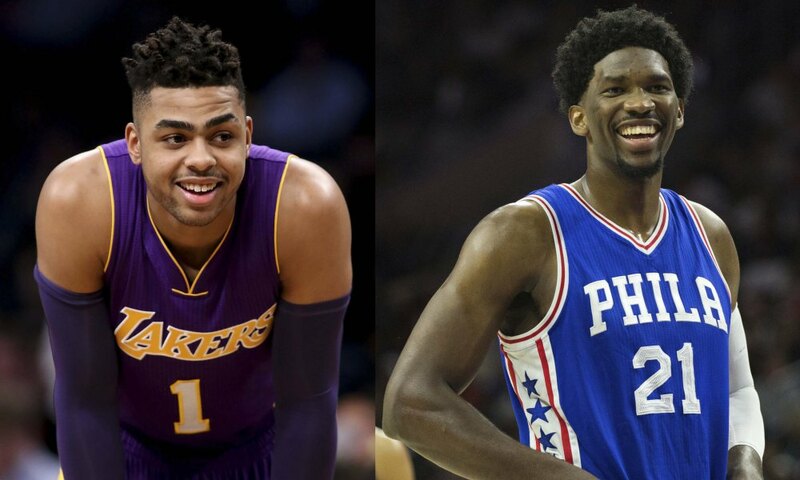 According to Los Angeles Lakers guard D'Angelo Russell, Joel Embiid apparently always used to recite Rick Ross lyrics in high school. Prior to the Lakers taking on the Philadelphia 76ers on Friday night, Russell talked about Embiid, as both attended the same high school at Montverde Academy. It probably explains a lot about Embiid's character, and how much of a savage he's been on social media these past few years. Russell's account of Embiid reciting Rick Ross lyrics seems to be accurate, as the 76ers star rookie spoke about it during an interview back in 2014. “When I was still back in Cameroon, because I didn’t know English, I used to listen to French rap all the time, and then a little bit of American hip-hop. And then when I got to the States, that’s when I really got into all those guys — Lil Wayne, Rick Ross, all those guys. My favorite used to be Lil Wayne, but now I think it’s Rick Ross or Drake. I'm looking forward to when Ross reacts to this.